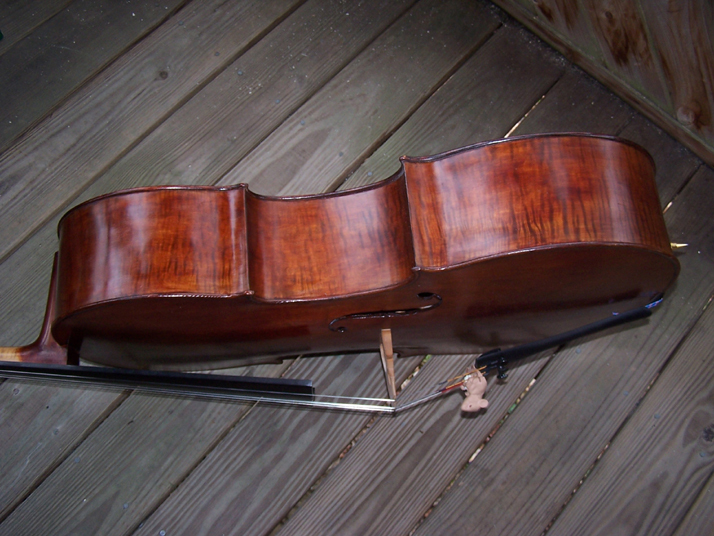 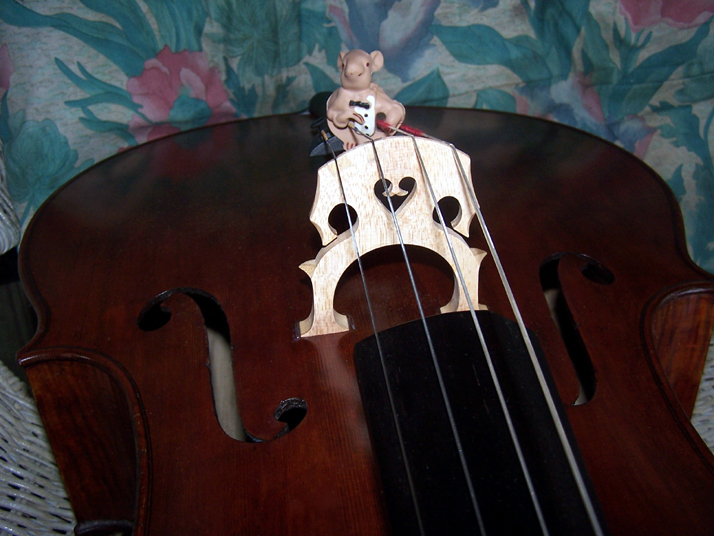 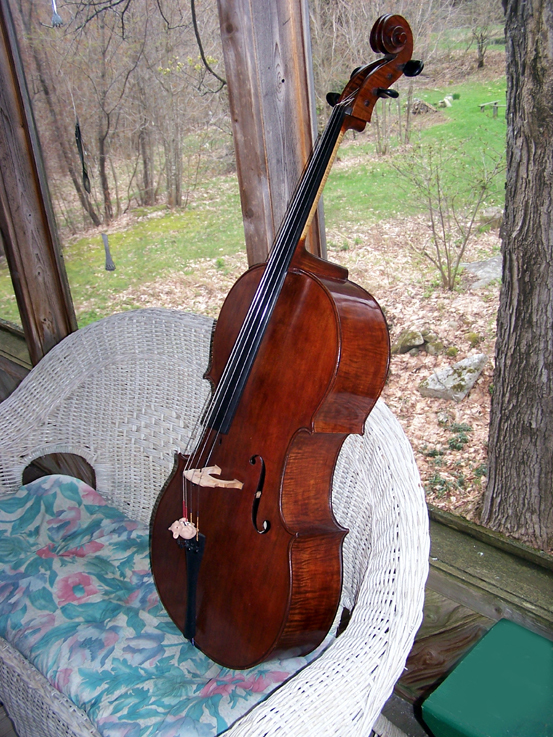 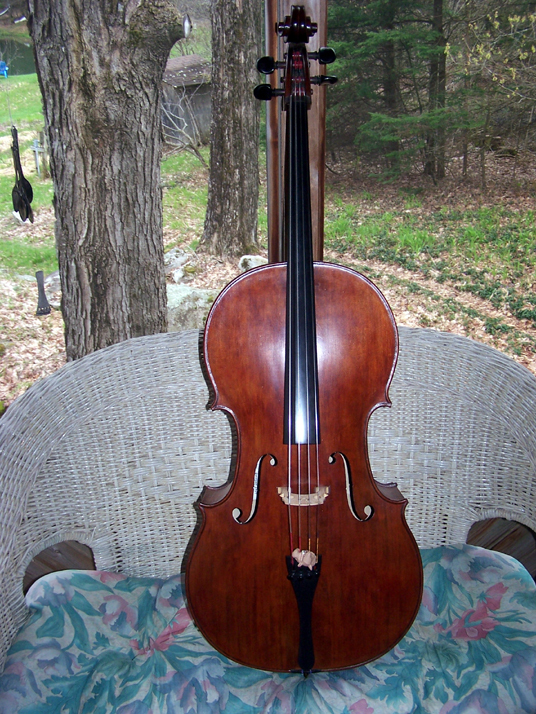 Thurmond Knight made this cello in 1989 and dedicated it to the memory of his favorite cousin, Babs O'Connell. 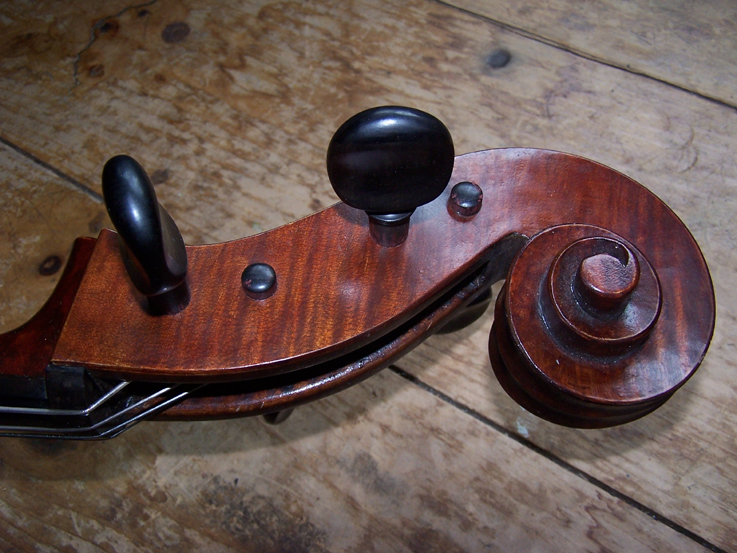 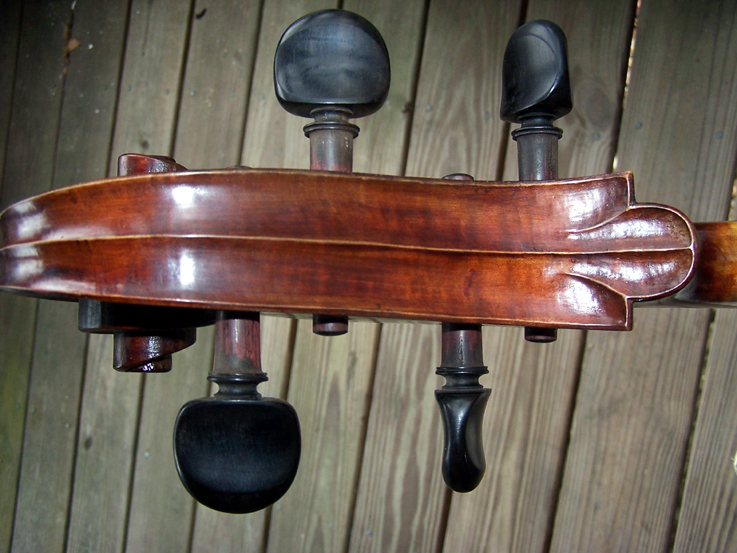 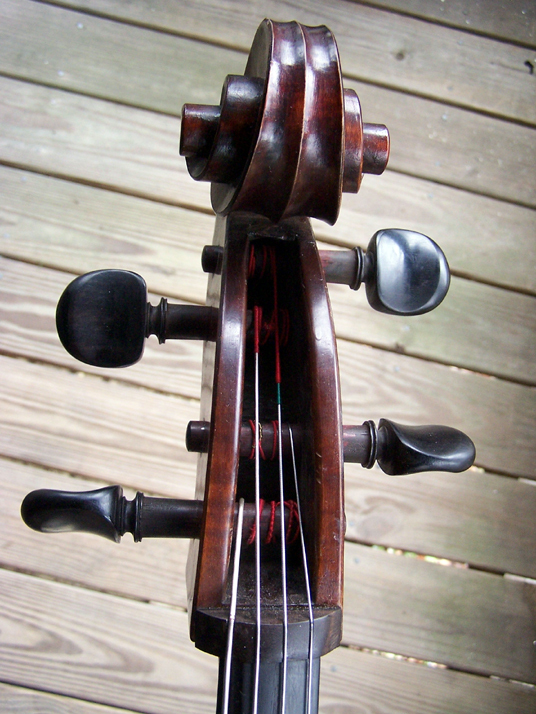 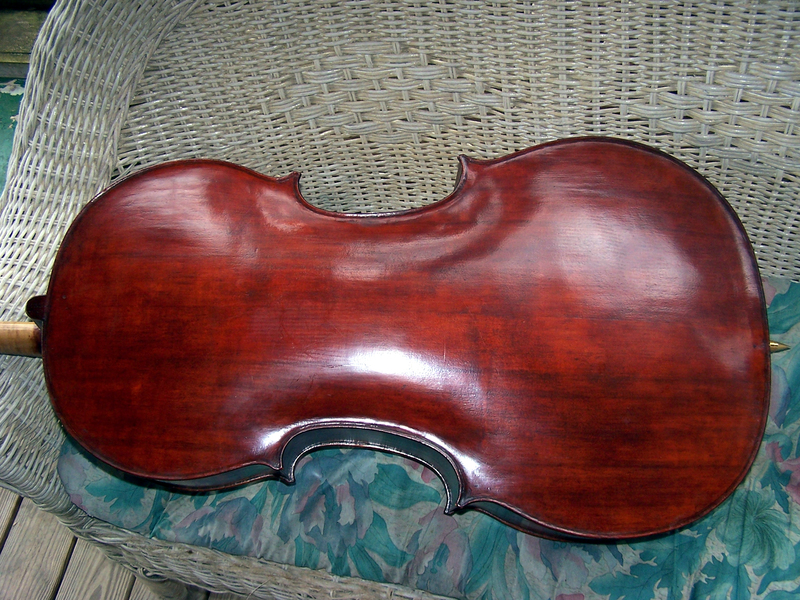 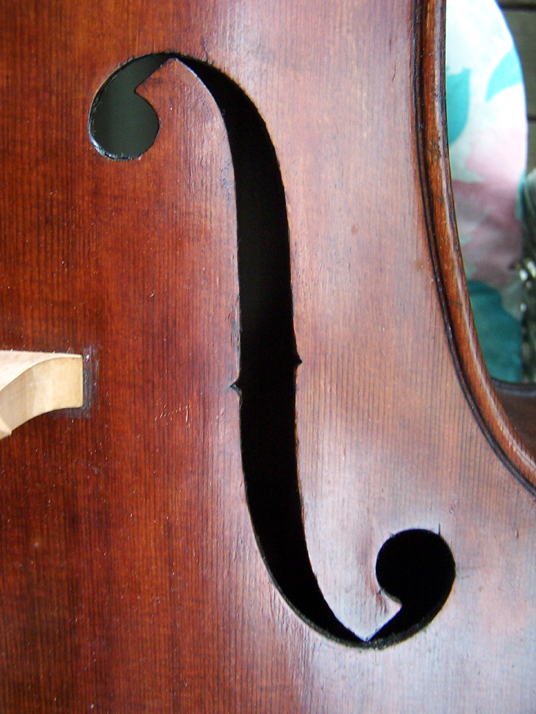 The cello was played-in by Thurmond for 12 years, and then played by a student of Thurmond's up until 2016. 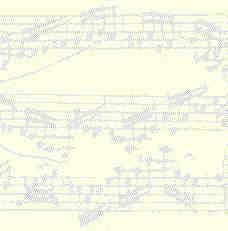 Babs is open and resonant with excellent projection, perfect for orchestral and solo performance. 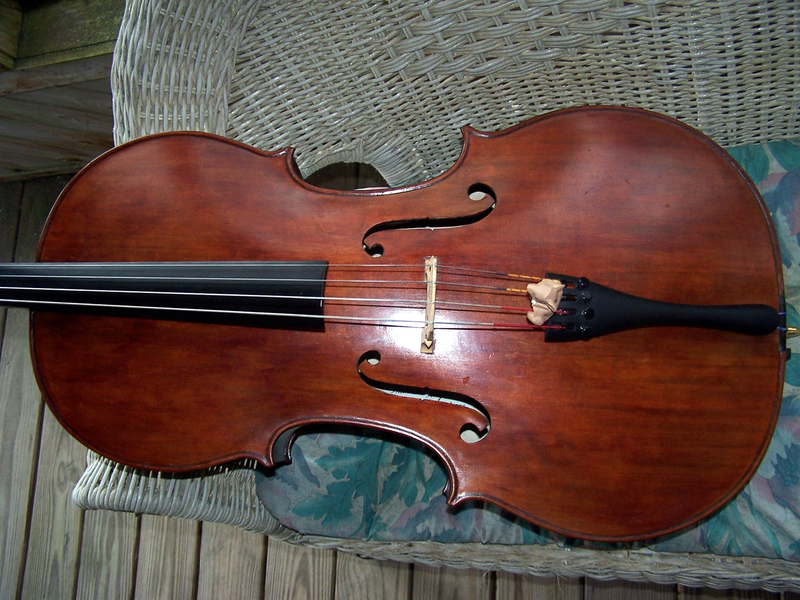 Babs was sold to Libby Hillhouse in 2018.